Airways is dealing with an unprecedented surge in demand as travel booms and it hosts a major conference. The state-owned enterprise's chief executive Ed Sims said the organisation could cope now but more investment in technology was needed. "The flow-on effect is good for New Zealand only if we've got the supply of technology that can match this level of demand," Sims said. "We can cope currently but in the next three years there's going to be more demand for satellite-based control rather than primary radar and even for infrared surveillance at control towers rather than manual observation." Airways is hosting the two-day Civil Air Navigation Services Organisation Asia-Pacific conference in Queenstown, involving some of the region's most senior aviation leaders. The talks would be vital to ensure the sustainability of Asia-Pacific and of travel and tourism to New Zealand, Sims said. "Our region is facing a period of unprecedented growth - the projected increase in traffic and airspace congestion will have a profound impact on safety, efficiency, environmental sustainability and the wider economy." 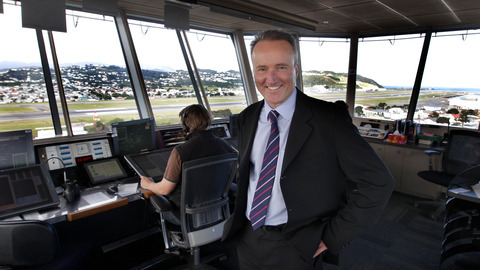 The single runway at Auckland Airport created some pressure, especially during the summer peak. "In terms of providing safe separation it's not just the number of aircraft but the type of aircraft - the separation standards behind an A380 are disproportionately significant to those of an A320." According to the International Air Transport Association, within 20 years about half of the world's air travel - nearly three billion journeys - will touch Asia Pacific, up from around 30 per cent now. By 2030, the world will need another 40,000 air traffic controllers to handle those flights, the International Civil Aviation Organisation said. Sims said Canada was poised to move to full space-based control and New Zealand was watching closely. "The challenge for New Zealand is one of scale - we don't have the same congestion in terms of flows," Sims said. "We've got to make the economics work as well as making the technology work." Airways is confident it has tracked down a fault that led to radar failing for nearly two hours last year. Chief executive Ed Sims said it had not released its own report on the incident that led to 170 flights being grounded as the Transport Accident Investigation Commission had not completed its inquiry. Sims said the radar system shut down last June after a "broadcast storm of data. We're fully on top of the circumstances that caused that outage," he said.